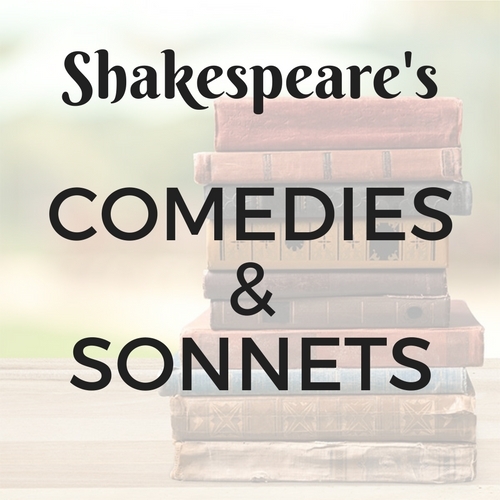 Lightning Literature: Shakespeare’s Comedies from Hewitt Homeschooling, adapted to fit the needs of modern gifted learners. This is semester-long high school course at the honors level. 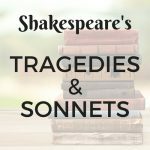 Lightning Literature: Shakespeare’s Comedies from Hewitt Homeschooling, adapted to fit the needs of modern gifted learners. This is semester-long high school course at the honors level. Weekly webinars are 50 minutes long. Recordings are available for students who must miss a session. All original text versions of Shakespeare’s plays are acceptable, including graphic novels and comics that include unabridged text. These may be available at your local library, or can be purchased online. Shakespeare in Bits interactive apps are especially recommended. Homeschool Buyers Co-op currently has a Shakespeare in Bits desktop collection available at a deep discount! iTunes also has an iPad app for A Midsummer Night’s Dream. High school content. Appropriate for advanced readers of all ages. Please note that all readings are original Shakespeare text and unabridged. Lightning Lit 8, or equivalent literary analysis experience. Student must be able to read fluently at the high school level or above. Student should also be able to write a paragraph independently. 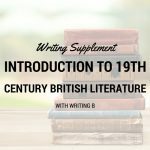 High school level writing is not required and composition instruction will not be covered in the course.